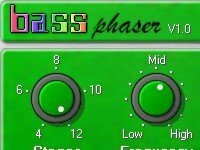 MegaVST is a free VST plugins directory, download free virtual instrument and audio effects that you can use to create a music. VST (Virtual Studio Technology) is a software interface that integrates software audio synthesizer and effect plugins with audio editors and recording systems developed by Steinberg. Here you can find the free ones, and use it on Digital Audio Workstation software to produce a music. MegaVST is a free VST plugins archive, download free audio plugin for musician or sound engineer. We allow you to download freeware VST, both audio effects and virtual instruments (VSTi). This plugin can be used in audio software (DAW) that supports VST including: Steinberg Cubase, Nuendo, FL Studio (Fruityloops), Ableton Live, Adobe Audition, etc. VST is a trademark of Steinberg Media Technologies GmbH. MegaVST is not affiliated or endorsed by Steinberg Media Technologies GmbH. All other logos, products, and company names mentioned in the MegaVST website are trademarks of their respective owners and subject to their own copyright laws.